Analog photos are making a major comeback. Even at a time when digital photography is easier, faster and more convenient than ever, many amateur photographers are seeking the nostalgia and old-fashioned feel of hard copies. It’s still an Instagram world, however, and many consumers are opting for instant-print cameras over traditional analog film. 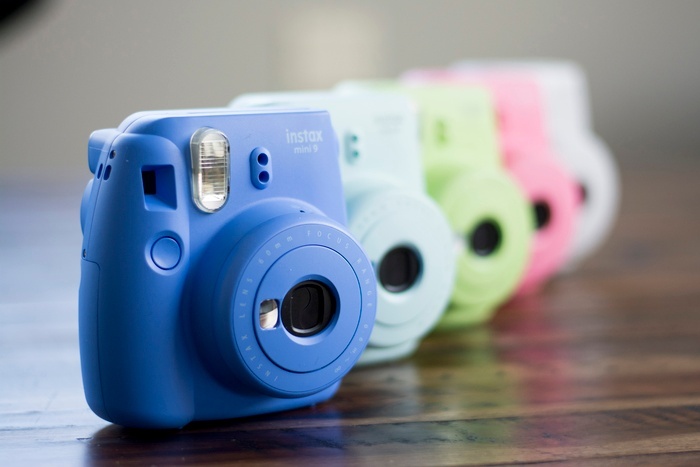 A variety of instant cameras are selling in droves, and Fujifilm instax is leading the pack. Of course, even the most user-friendly cameras require a few adjustments. Instax cameras pack a robust feature set into a small frame, and learning how to optimise those features will have you well on your way to perfect pictures. Here are a few key tips for getting the lighting just right with your instax. If you’re relying on the flash for an effective shot, you’ll need to stand at the right distance from your subject. The built-in flash has an effective range of about two feet, and as long as you stay inside this range you’ll have a better chance of achieving the right focus and exposure. Without a shade or dimmer, you’ll need to take care to avoid shooting in direct sunlight, which will cause overexposure and washed-out prints. In some cases, you can move or angle yourself differently. Depending upon the size and placement of your subject, however, you may just have to pick a different time of day. Morning and early evening provide gentle, even lighting, while noontime shots tend to be harsher. The instax automatically senses ambient light and suggests an ideal brightness setting, which influences the amount of exposure. In most cases, these settings are spot-on. Bright environments require lower brightness settings, while night skies mean more exposure for a clear shot. However, these settings won’t always produce the effect you want. In fact, many instax users recommend choosing one stop darker (more exposure) than the suggested setting. Oftentimes, this slight adjustment brightens a shot’s colours and mood without washing out the details. High-key lighting is often used in film and television scenes that require a homogenous, low-contrast look, free of harsh shadows and colours. While this effect typically requires multiple light sources, it can be simulated with the instax “hi-key” setting, found right next to the other lighting stops. This setting’s soft, bright look works well in restaurants, auditoriums and other dimly lit settings where a flash is too harsh. A double exposure is created by twice exposing the same slide to light, and it produces a markedly different effect from simply lengthening a single exposure. Depending upon how you orient the camera between exposures, you can achieve some pretty neat lighting and movement effects! Both the NEO90 and the SQ10 offer easy-to-use double exposure settings, so experiment and enjoy! If you’re not happy with the way colours appear in your shots, your lighting or light settings may not be to blame. Oftentimes, a drab background or a lack of contrast between background and foreground are the real culprit behind lackluster shots. To liven up your photos, dress up your subject, add in props or find a new spot to shoot. By playing with the lighting settings, angles and special effects, you can significantly improve the pictures you take with your Instax camera. As with other types of photography, however, great natural light will always improve your shots! Weather, time of day and orientation to the sun will have some of the greatest effects on your finished product, so find the best ways to use them to your advantage.